On the 1st (Thu), learn about winemaking at Aurora Winery, then don't miss a visit to Parque Epopeia Italiana, and then contemplate the long history of Caminhos de Pedra. Get ready for a full day of sightseeing on the 2nd (Fri): learn about winemaking at Casa Valduga Winery, then take in the spiritual surroundings of Santuario N S do Caravaggio, then take in the architecture and atmosphere at Paroquia Santa Teresa, and finally pause for some serene contemplation at Sao Pellegrino Church. To see more things to do, photos, where to stay, and more tourist information, go to the Bento Goncalves day trip planning website . Sao Paulo to Bento Goncalves is an approximately 4.5-hour flight. You can also do a combination of bus and flight; or drive. Cap off your sightseeing on the 2nd (Fri) early enough to go by car to Gramado. On the 3rd (Sat), make a trip to Fonte do Amor Eterno, explore the activities along Black Lake, then take in nature's colorful creations at Le Jardin Lavender Park, and finally contemplate the long history of Casa do Colono. For ratings, photos, and other tourist information, read our Gramado trip builder website . 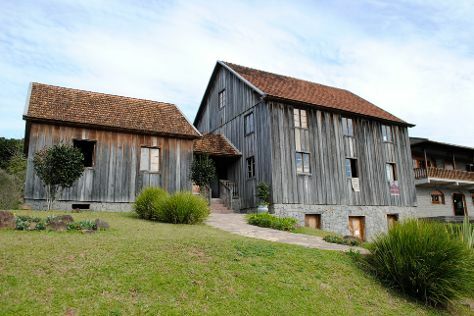 You can drive from Bento Goncalves to Gramado in 2 hours. Another option is to take a bus. Finish your sightseeing early on the 3rd (Sat) to allow enough time to travel to Brasilia. Start off your visit on the 4th (Sun): take in the spiritual surroundings of Temple Shin Buddhist Pure Land - Brasilia, contemplate in the serene atmosphere at Catedral Metropolitana, then take an in-depth tour of Memorial JK, then take in the spiritual surroundings of Santuario Dom Bosco, and finally admire the striking features of Templo da Boa Vontade. To see reviews, more things to do, ratings, and tourist information, read Brasilia itinerary planner. Traveling by combination of taxi and flight from Gramado to Brasilia takes 6 hours. Alternatively, you can do a combination of bus and flight; or drive. In August, plan for daily highs up to 33°C, and evening lows to 15°C. Cap off your sightseeing on the 4th (Sun) early enough to travel to Porto Seguro. Kick off your visit on the 5th (Mon): don't miss a visit to Largo da Ajuda, then take in the architecture and atmosphere at Nossa Senhora da Ajuda Church, then get to know the fascinating history of Quadrado, and finally pause for some serene contemplation at Igreja de Sao Joao Batista. Here are some ideas for day two: find something for the whole family at Eco Parque Arraial d'Ajuda and then enjoy the sand and surf at Pitinga Beach. To see other places to visit, traveler tips, ratings, and other tourist information, you can read our Porto Seguro online trip itinerary builder . Traveling by flight from Brasilia to Porto Seguro takes 3.5 hours. Alternatively, you can drive; or take a bus. Traveling from Brasilia in August, expect nights in Porto Seguro to be a bit warmer, around 22°C, while days are little chillier, around 29°C. 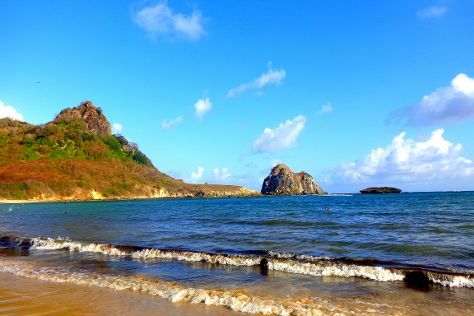 Finish your sightseeing early on the 6th (Tue) so you can fly to Fernando de Noronha. Discover out-of-the-way places like Praia do Sueste and Conceicao Beach. Deepen your sense of the past at sights like Capela de Sao Pedro and Fort of Nossa Senhora da Conceicao. And it doesn't end there: tour the pleasant surroundings at Praia do Cacimba do Padre, head outdoors with Baia dos Porcos, contemplate the waterfront views at Buraco do Galego, and kick back and relax at Baia do Sancho. Inspirock's itinerary builder makes planning a Fernando de Noronha trip simple and quick. You can fly from Porto Seguro to Fernando de Noronha in 7.5 hours. The time zone difference when traveling from Porto Seguro to Fernando de Noronha is 1 hour. Traveling from Porto Seguro in August, things will get a bit warmer in Fernando de Noronha: highs are around 33°C and lows about 28°C. 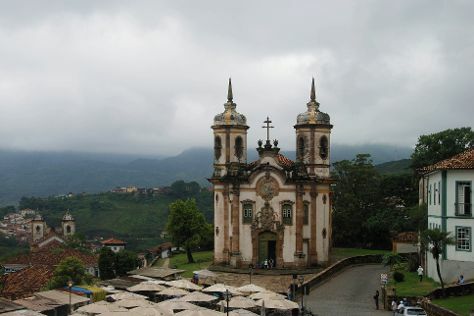 Finish up your sightseeing early on the 9th (Fri) so you can travel to Ouro Preto. On the 10th (Sat), pause for some serene contemplation at Igreja Nossa Senhora do Rosario, steep yourself in history at Casa da Camara, get to know the fascinating history of Largo do Rosario, appreciate the extensive heritage of Rua dos Bancos, then pause for some serene contemplation at Igreja Nossa Senhora do Carmo, and finally admire the masterpieces at Museum of Betrayal. Keep things going the next day: make a trip to Praca Tiradentes, take in the architecture and atmosphere at Church of Sao Francisco de Assis, get engrossed in the history at Casa dos Contos, steep yourself in history at Minas do Palacio Velho, then take in the architecture and atmosphere at Sao Pedro dos Clerigos Cathedral, and finally pause for some serene contemplation at Catedral Basilica da Se. For ratings, photos, and tourist information, read our Ouro Preto driving holiday planner . You can do a combination of flight and bus from Fernando de Noronha to Ouro Preto in 8.5 hours. The time zone changes from Fernando de Noronha Time (FNT) to Brasilia Time (BRT), which is usually a -1 hour difference. Traveling from Fernando de Noronha in August, plan for a bit cooler nights in Ouro Preto, with lows around 20°C. 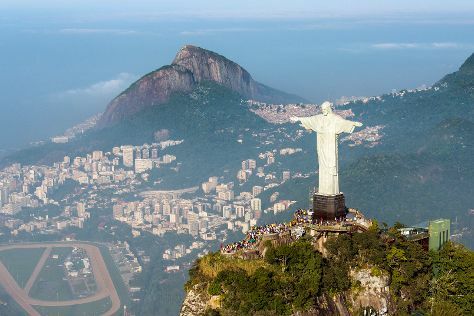 Finish your sightseeing early on the 11th (Sun) so you can drive to Rio de Janeiro. On the 12th (Mon), tour the pleasant surroundings at Sugarloaf Mountain, enjoy the sand and surf at Copacabana Beach, then enjoy the sand and surf at Praia de Ipanema, and finally kick back and relax at Pedra do Arpoador. Keep things going the next day: admire the natural beauty at Jardim Botânico do Rio de Janeiro, then appreciate the history behind Corcovado Christ the Redeemer, then don't miss a visit to Centro Cultural Municipal Parque das Ruinas, and finally step into the grandiose world of Ilha Fiscal. To find where to stay, more things to do, reviews, and more tourist information, you can read our Rio de Janeiro travel planner . You can drive from Ouro Preto to Rio de Janeiro in 5.5 hours. Alternatively, you can do a combination of taxi and bus; or take a bus. In August, plan for daily highs up to 30°C, and evening lows to 22°C. Finish your sightseeing early on the 13th (Tue) to allow enough time to drive to Aparecida. Home to one of Brazil's most famous basilicas, the small city of Aparecida welcomes many times its population in tourists every year. On the 14th (Wed), take in the architecture and atmosphere at Igreja de Sao Benedito, pause for some serene contemplation at Matriz Basilica Nossa Senhora Aparecida, contemplate in the serene atmosphere at Morro do Cruzeiro, then pause for some serene contemplation at Church of Sao Geraldo, then pause for some serene contemplation at Capela do Batismo, and finally take in the spiritual surroundings of National Sanctuary of Our Lady of Aparecida. To see traveler tips, more things to do, other places to visit, and tourist information, read our Aparecida driving holiday planner. You can drive from Rio de Janeiro to Aparecida in 3.5 hours. Alternatively, you can take a bus. Expect a bit cooler evenings in Aparecida when traveling from Rio de Janeiro in August, with lows around 15°C. Finish up your sightseeing early on the 14th (Wed) so you can go by car back home.